With endless inspiration on the web, and Pinterest in particular, there's no shortage of beautiful kids bedrooms. But where do they get these fabulous bedroom items? Here's a few sources to make your kids room original. Click on the links to be directed to the item! 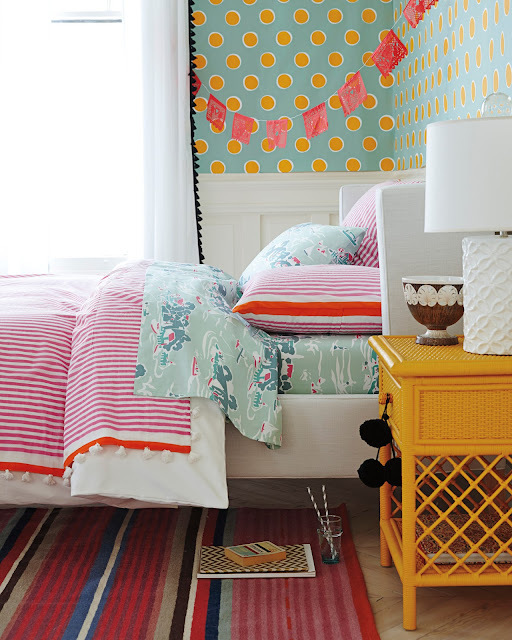 This candy stripe coverlet and sham from Serena & Lily is stylish and adds lots of fun colour. Love. 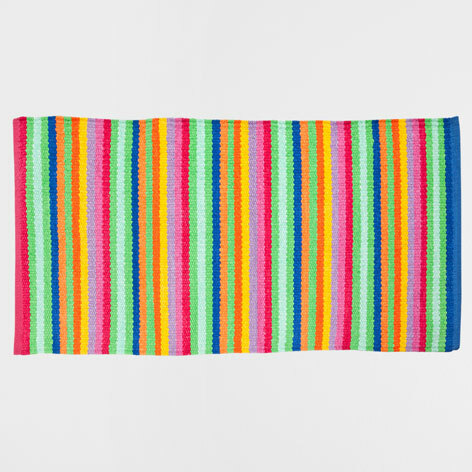 This striped mini rug from Zara Home will match most decor! 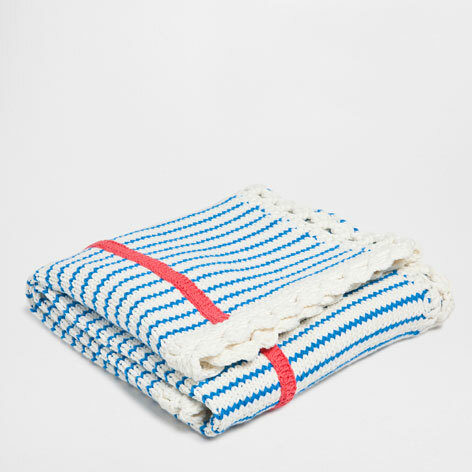 Or this crochet blanket will have you begging your grandmother to knit one for your little guy! Or you can just buy it from Zara Home. 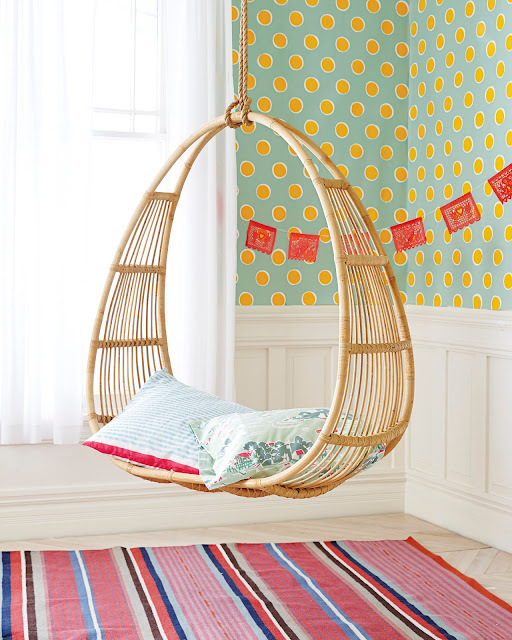 This hanging rattan chair from Serena & Lily tops my list for cool room items. 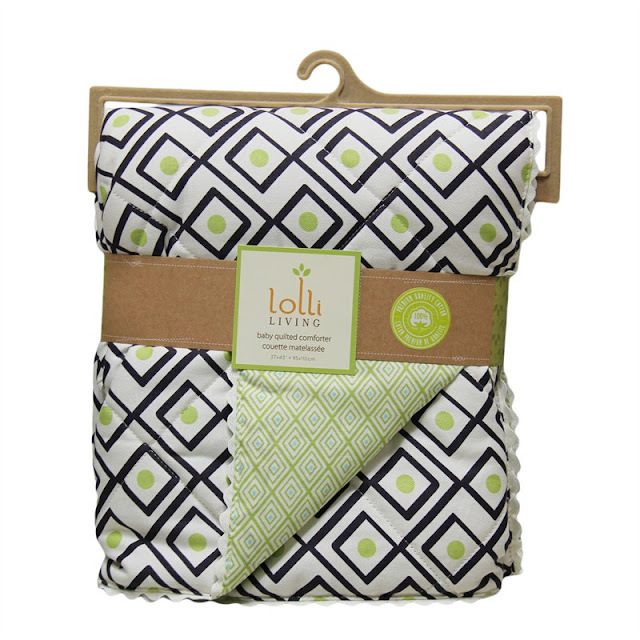 This quilted crib comforter from Indigo is graphic and beautiful. For the gender neutral nursery? Ikea has some pretty classic designs right now. Love this large canopy positioned above a crib or bed. 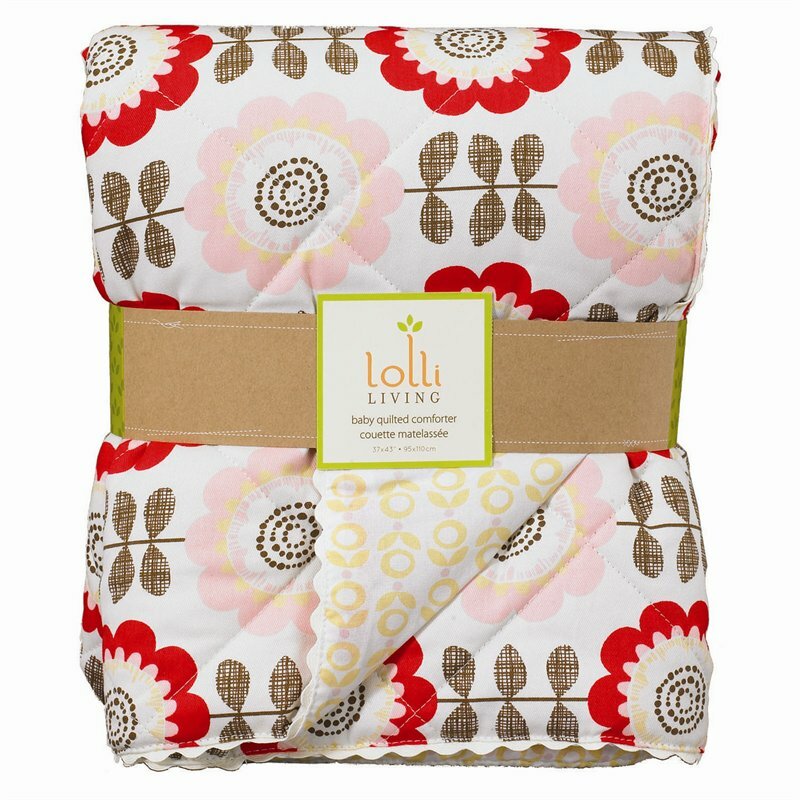 Along with this equally soothing crib sheet set. Ikea. And some stylish storage options? New to Ikea are these colourful hanging baskets! Any items that top your list?